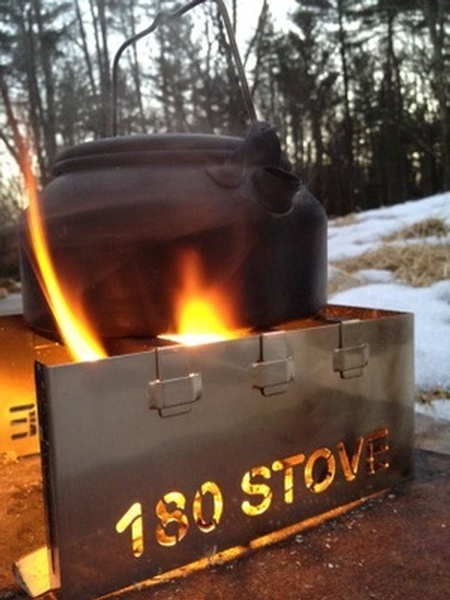 Super lightweight, yet sturdy stove, ideal for backpacking around. 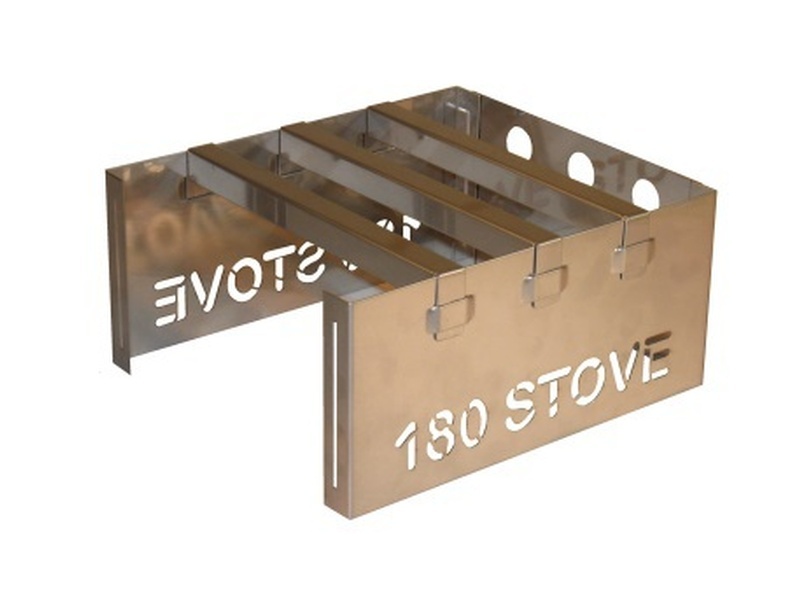 The USA made, stainless steel 180Tack stove is easily assembled, packs small and weighs just 10.4oz. 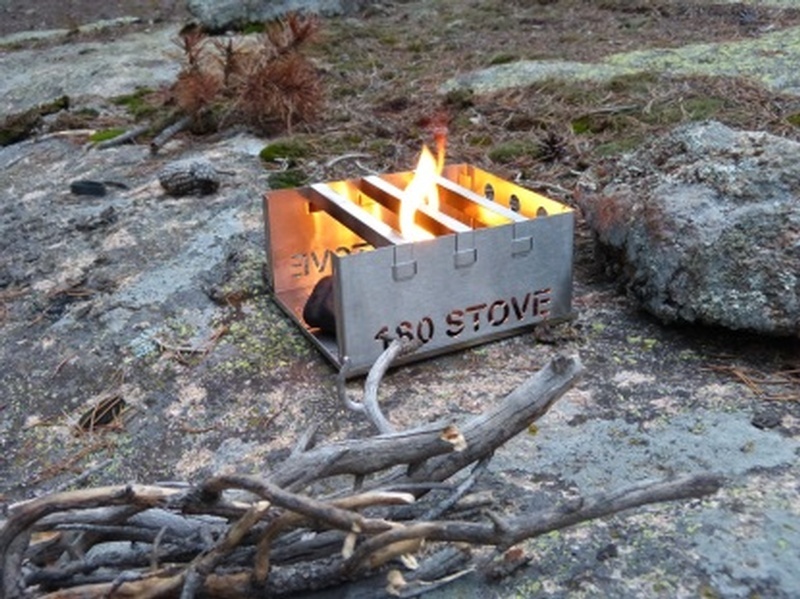 Once made up, it offers a nice large base (6"x7") for your camp cooking, there are no hinges, rivets or welds!. Note: Some minimal warping of the side panels may occur during use. Fortunately, this does not affect the use or durability of the 180 STOVE. If any warping is noticed, simply bend the panel back to shape and continue to enjoy. Purchase through PayPal by using the "Add To Cart" button above or use the form below to order the 180 Tack Stove . 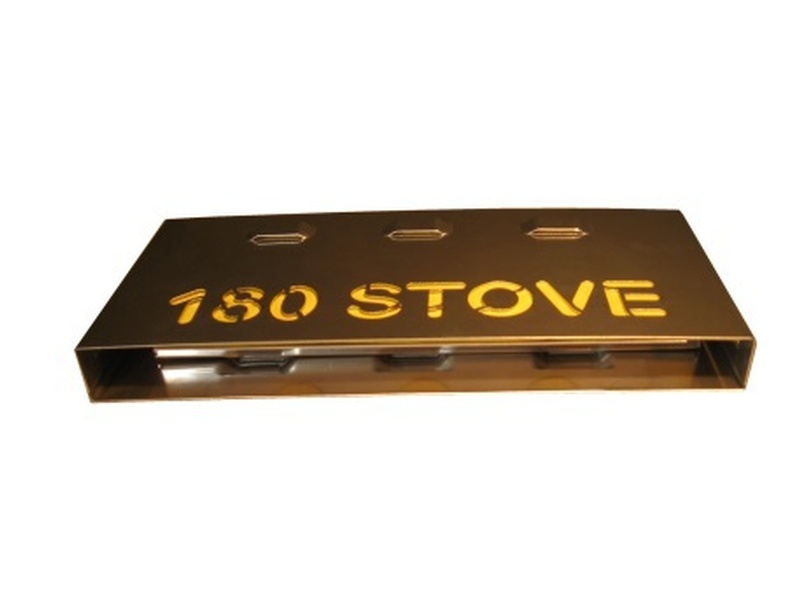 Feel free to contact us if you have any questions about the 180 Tack Stove .